Stainless steel pan 35,00 € tax excl. Paper-roll holder (head-end) 32,00 € tax excl. Stainless steel pan with arm 175,00 € tax excl. Plastic cover (head end) 43,00 € tax excl. Plastic covering (leg section) 46,00 € tax excl. Clamp support 97,00 € tax excl. Auto-locking 2 hook IV pole (+ clamp) 209,00 € tax excl. Lamp LED 4,2W 517,00 € tax excl. Lamp LED 4,2W No contact switch 603,00 € tax excl. Lamp LED 7W 649,00 € tax excl. Lamp LED 7W dimmer 676,00 € tax excl. Lamp LED 7W No contact switch 693,00 € tax excl. Pair of helper hand grips 131,00 € tax excl. Upgrade to the next level with Deneo®, concentrated innovation allowing better accessibility and greater comfort for the patient and practitioner. The design of Deneo® is the result of long research and numerous encounters in the field with medical laboratory professionals. Easy access for the patient (Sit’n Go1 concept), specific design and Bodyshape® upholstery contribute to reassuring your patient. 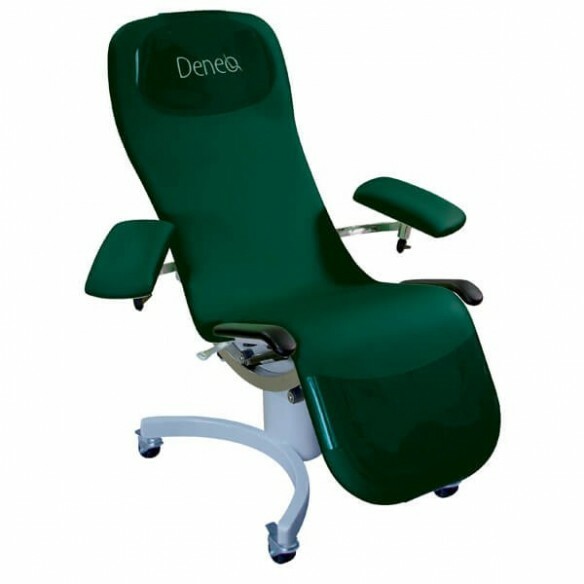 With its exceptional versatility, the Deneo® promotes comfortable and safe actions. 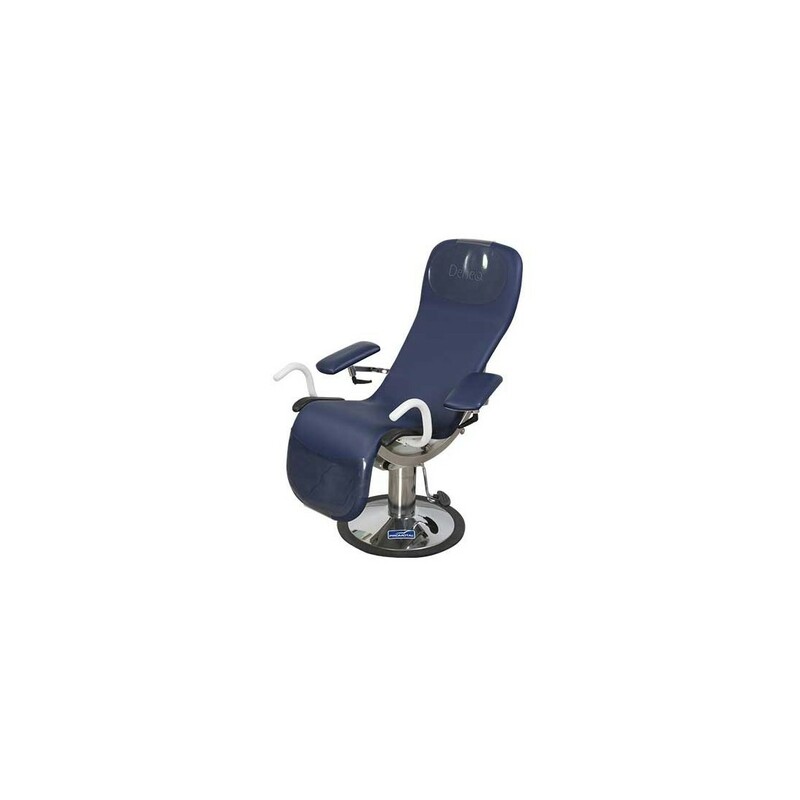 2 adjustable ergonomic armrests, 360° rotation*, swivelling arms with pan*, instant emergency position... the Deneo® chair is the ideal solution for blood sampling. The emergency position is instantly adopted. Practical in reduced spaces, it requires 2 times less space than a traditional sampling chair. The 360° rotation allows the practitioner to take a blood sample from either arm without moving. Finally, the hydraulic variable height system allows you to be in the correct position for sampling and ensures complete independence without electrical wires on the ground. 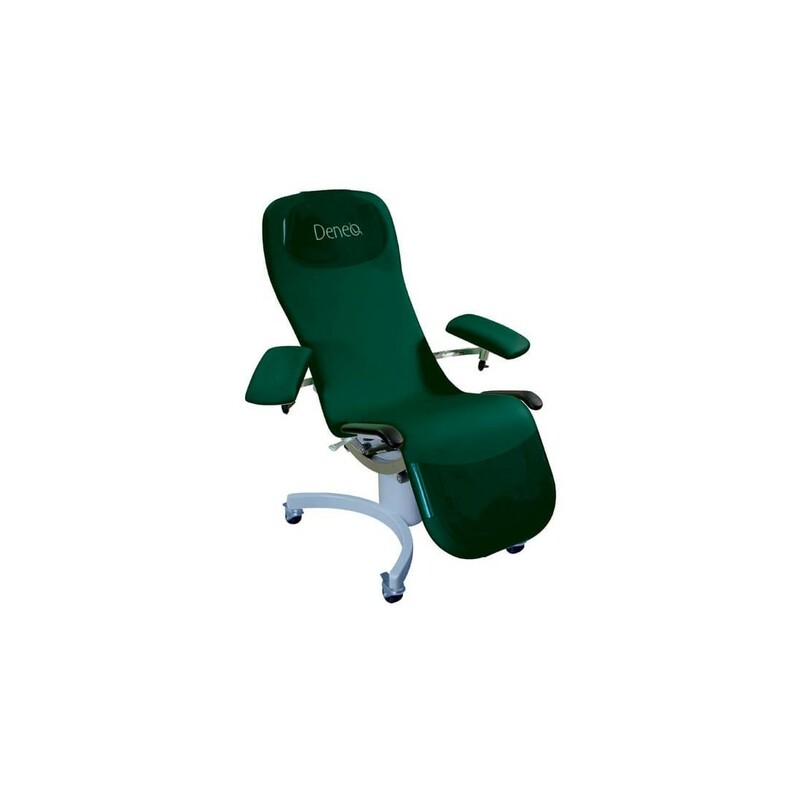 Up to 200kg patient weight, instant emergency position, variable height from 51cm to 71cm or fixed height of 55cm, bodyshape upholstery for a reassuring design, Sit’n Go concept... each element of the Deneo® sampling chair has been designed to facilitate blood sampling. Customise your chair with our wide choice of colours. 1 Sit’n Go : 100% intuitive and innovative system. 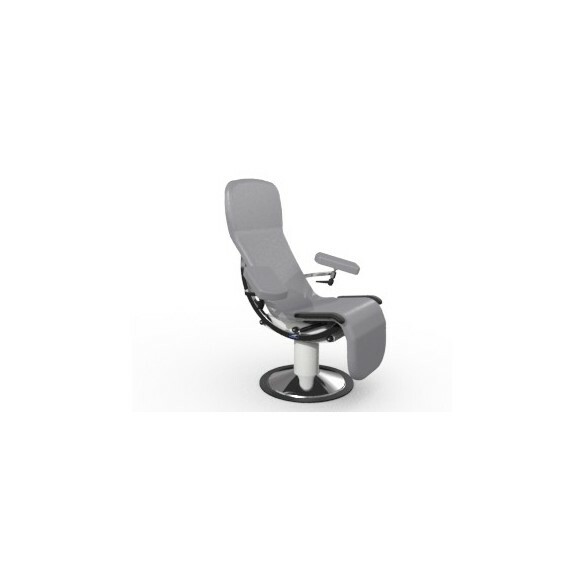 When the patient goes to sit in the chair, he/she positions his/her hands on the 2 lateral handles and the seat lowers to facilitate entry. 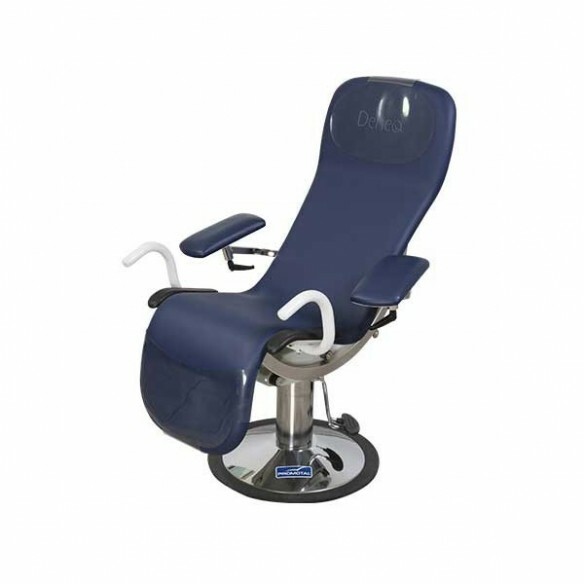 Once the patient is sitting, the chair moves back to its original position.